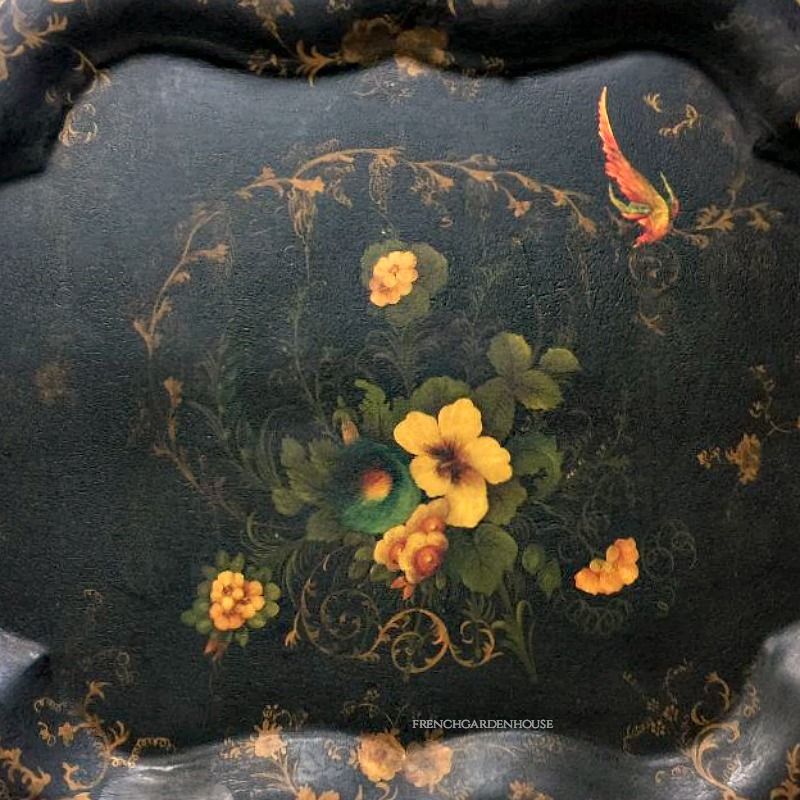 Antique 19th Century Hand Painted Gilt Toleware Tray with Bird and Flowers on a large scalloped Chippendale metal shape. This 1800's serving tray features beautiful decorative flowers with a pearlized bird. The border is decorated in a gilt painted design, so charming. The flowers include primulas, a jack in the pulpit, a pink poppy, buttercups and a lily. 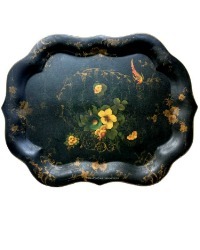 A sweet Victorian bouquet of all our favorite garden flowers, the tray has a nod to Chinoiserie. Over the last century the paint has "alligatored" which is not uncommon in the early trays. 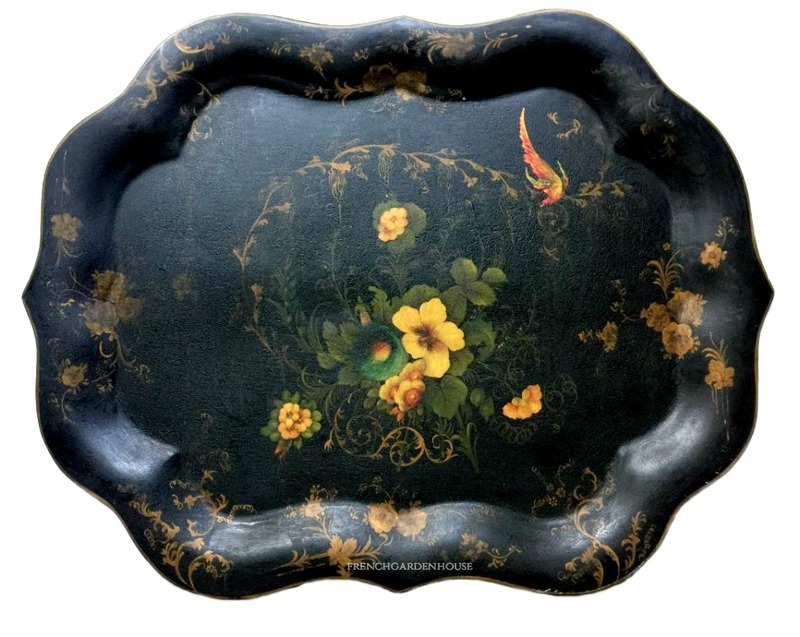 A fabulous addition to your collection of French, English and American antique tole trays. Small losses of gilt. Displays beautifully.